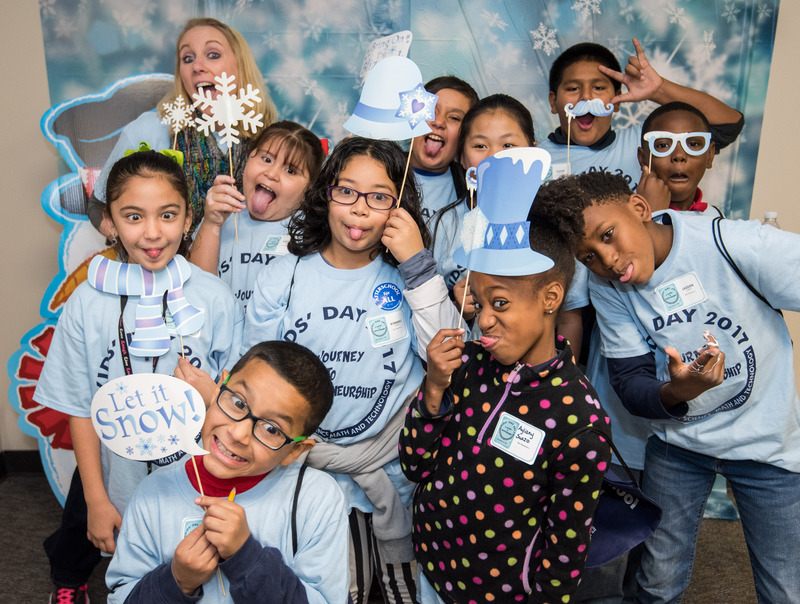 Wall Street joins forces with a winter wonderland at the Kids’ Day Entrepreneurship hosted by Harris County Department of Education’s Center for Afterschool, Summer and Enrichment for Kids, or CASE for Kids. The holiday marketplaces to be held at 6005 Westview are set for Dec. 7 from 10-11 and noon-12:50 p.m. The two shifts of buying-and-selling frenzies allow students from elementary through high school the chance to showcase creative wares and services for the holidays. Kids compete in timed commerce sessions with fake credit cards as they show off their business and marketing acumen. Prizes are given for schools with the most creative products, the largest product margin and savviest marketing campaigns. Each student gets the opportunity to be both buyer and seller as the markets change over. Products include homemade soy candles, pet rocks, piñatas and ornaments, lighted mason jars, slime, bracelets and scrunchies, brunchies, snow globes, and scented hand scrub. The 120 students from elementary through high school participating are from the following districts: Spring, Clear Creek, Aldine, Galena Park, Humble, Pasadena, Sheldon. Charter schools Academy of Accelerated Learning, Inc. Southwest Charter and Promise Schools are participating as well. CASE for Kids provides resources, training and afterschool services for over 9,000 students in greater Harris County. Training includes curriculum afterschool resources that allow students to explore careers. “With this curriculum CASE for Kids has created, students experience the first-hand challenges and opportunities of operating a business in a free market economy,” said CASE for Kids Director Lisa Thompson-Caruthers.